A significant number of people who have undergone treatment for cancer over the past several decades may not have ever actually had the disease, admits a new report commissioned by the U.S. National Cancer Institute (NCI). Published online in the Journal of the American Medical Association (JAMA), this government study identifies both overdiagnosis and misdiagnosis of cancer as two major causes of this growing epidemic, which together have led to the needless treatment of millions of otherwise healthy individuals with chemotherapy, radiation or surgery. 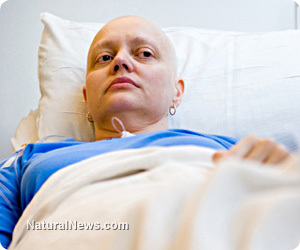 The report drops a few major bombshells on the way that many cancers are diagnosed. Breast cancer, for instance, is sometimes not breast cancer at all but rather a benign condition such as ductal carcinoma in situ (DCIS). However, untold millions of women with DCIS have been misdiagnosed as having breast cancer, and subsequently treated for a condition that likely never would have caused them any health problems. And similarly in men, high-grade prostatic intraepithelial neoplasia (HGPIN), a type of premalignant precursor to cancer, is commonly mistreated as if it was actual cancer. "The practice of oncology in the United States is in need of a host of reforms and initiatives to mitigate the problem of overdiagnosis and overtreatment of cancer, according to a working group sanctioned by the National Cancer Institute," explains Medscape.com about the study. "Perhaps most dramatically, the group says that a number of premalignant conditions, including ductal carcinoma in situ and high-grade prostatic intraepithelial neoplasia, should no longer be called 'cancer.'" These are shocking admissions, considering that NCI is a government-funded agency that tends to favor the conventional cancer diagnosis and treatment model, even when it is shown to be a failure. But even worse is the inference that untold millions of healthy people have been treated with poison and radiation for conditions they never even had, which likely caused many of them to develop real cancer and even die as a result. As it turns out, the entire concept of "early diagnosis" itself is fundamentally flawed, since many of the methods used to diagnose fail to differentiate between benign and malignant cancer cells. This means that many people who are falsely diagnosed with cancer will end up developing cancer as a result of getting treatment for cancers they never had, a phenomenon that proves the absurdity of the entire model. "[E]ven in the case of finding the tumor early enough to contain it through surgery, chemotherapy and/or radiation, it is well-known that the minority subpopulation of cancer stem cells within these tumors will be enriched and therefore made more malignant through conventional treatment," explains Sayer Ji for GreenMedInfo.com. "For instance, radiotherapy radiation wavelengths were only recently found by UCLA Jonnsson Comprehensive Cancer Center researchers to transform breast cancer cells into highly malignant cancer stem-cell like cells, with 30 times high malignancy post-treatment." In Ji's view, the underlying issue is that the conventional cancer model erroneously views cancer as some kind of outside attack on the body that must be aggressively fought with rigorous treatment, rather than the survival mechanism that it actually is. When the body is perpetually deficient in nutrients, for instance, or when it becomes overburdened by radiation, carcinogens and other toxins from the environment and food, cancer can develop as a response to this harmful onslaught. "Our entire world view of cancer needs to shift from an enemy that 'attacks' us and that we must wage war against, to something our body does, presumably to survive an increasingly inhospitable, nutrient-deprived, carcinogen- and radiation-saturated environment," adds Ji.